The City of Welland is always on the grow. From infrastructure to community development; city departments are always preparing and planning to deliver better services to citizens. Community improvement projects change the way we move, live, and do business. 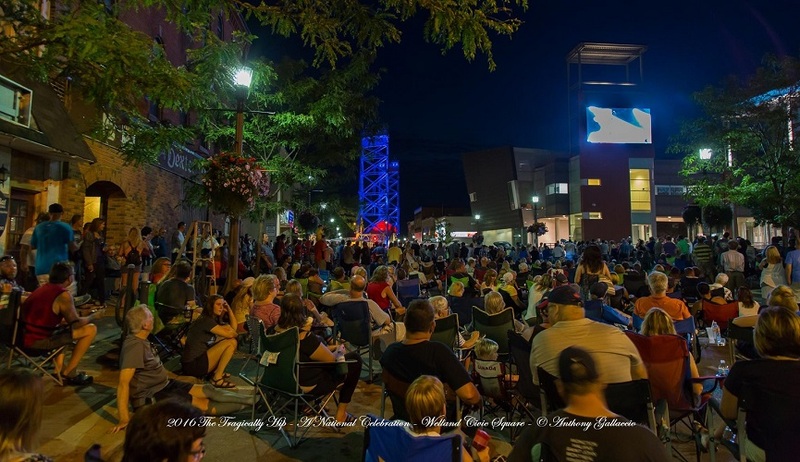 Stay connected to your city, and discover all the community improvements projects planned to enhance the lives of Welland’s residents, business owners, and visitors. The city’s community improvement projects are most successful when the community participates and shares their ideas. We encourage you to discover the current projects listed here, participate at a public meeting, or take a public survey to help us shape your city. Welland Civic Square is a community space that has the potential to be a landmark within downtown Welland. The current space has had increasing interest as recent events such as movie nights and concerts broadcast on the big screen, have attracted many residents to the location. In order to continue the growth of these events, and to attract future community gatherings, a revitalization strategy for Civic Square is necessary. Downtown revitalization, or placemaking, is an important part of the overall health of a community, and it is important to create a multi-use space that will facilitate a number of community events. Visit the Civic Square Revitalization webpage for updated information. The City of Welland, Dillon Consulting, and Niagara College are embarking on an exciting year-long project together to create an Atlas Landfill Remediation Concept Plan (ALRCP) for the retired landfill site on Woodlawn Road. Commencing the project in June 2017, the college’s School of Environmental & Horticultural Studies (SEHS) will collaborate with City of Welland staff, and landscape architects from Dillon Consulting to develop the site for public use. Visit the Atlas Landfill Remediation webpage for updated information. City staff expect site preparation for the Welland Skateboard and BMX Park to begin this summer, with construction commencing later in September. The development of the new park stems from the Mayor’s Youth Advisory Council fundraising efforts, and community engagement public meetings. Visit the skate park webpage for updated information. The purpose of this Master Plan is to provide guidance for the future long-term development of Memorial Park. The park has a history in the City of Welland, particularly with respect to family oriented activities, and with recreational sports teams. Memorial Park is bisected by Memorial Park Drive. The western half of the park consists primarily of ball diamonds and the eastern half primarily consists of passive and recreational areas which include a pool, splash pad, wading pool, and picnic pavilions. A small building at the southern end is rented out to a community group. Memorial Park is actively used by the baseball community, and sports team representatives have indicated a rising demand for playing fields. Large gatherings associated with the pavilions continue to be a tradition among the citizens of Welland. Visit the parks webpage for more information.